Contrasted with the skin nature had planned. Your population had no industry. Forced to adapt so that you would not die. Will you turn back from darkness into light? The white-bodied peppered moth. (Photo Credit: Olaf Leillinger via Wikimedia Commons). 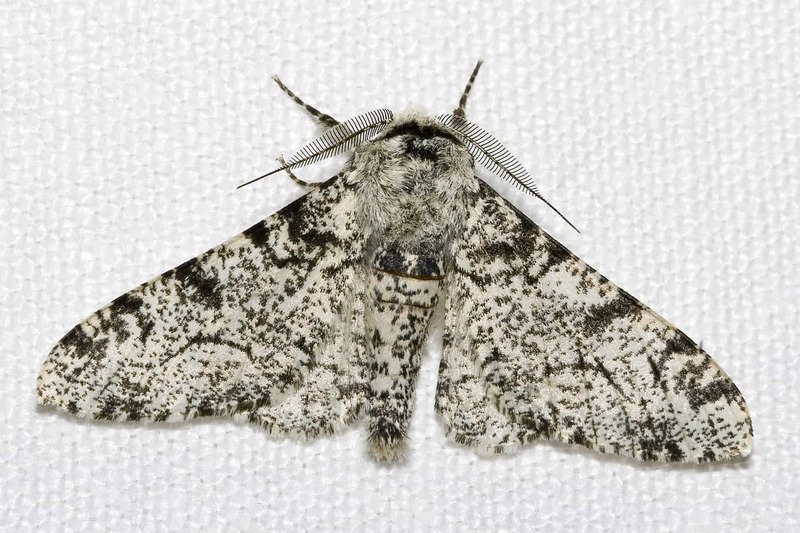 This is a Shakespearian Sonnet, based on recent research which has identified and dated the mutation which gave rise to the black form of the peppered moth in the UK, during the Industrial Revolution. Prior to this the peppered moths had a lighter form, but this made them stand out against the sooty bark on urban trees, making them an easy target for predators such as birds and bats. After a dip in their population, the peppered moth was observed again, but with a black colouring; the first documented recording of such a moth coming in Manchester in 1848. The researchers in this study have found that a ‘jumping gene’ was responsible for this genetic mutation, which is often given as a classroom example of a visible evolutionary response. Using statistical modelling, the researchers have dated this mutation to around 1819, which indicates that after their numbers dwindled it took approximately 30 years for the genetically modified variety to become popular enough again to notice. You can find out more about the Peppered Moth, including a number of resources for schools, here. An audio version of the poem can be heard here.